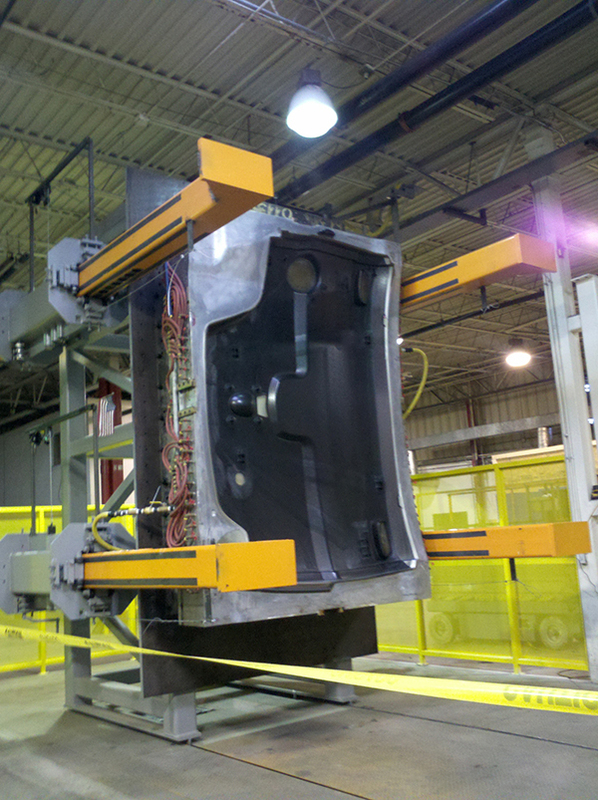 As a leading provider of heavy duty plastic and composite panels, Ashley Industrial Molding, Inc. can provide reaction injection molding of products for a variety of industries. Reaction injection molding affords designers more design freedom and can effectively produce more complex parts than other molding methods. We use premium quality Telene DCPD thermoset resin to produce body and interior panels with an outstanding strength to weight ratio. 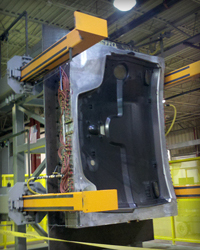 DCPD provides industry leading impact and chemical resistance, and is especially well suited large panel applications. Reaction injection molded DCPD parts have a Class A level finish straight out of the mold and can be painted with a variety of polyurethane based paints and our 2k paint system. Our parts are used in a variety of heavy construction, agricultural, industrial, and military equipment and vehicles. Applications for our panels range from aesthetic to functional, and sizes vary from large exterior body pieces to small interior components. We pride ourselves in the ability to provide value added services truly catered to specific customer needs. Our quality system is certified under ISO 9001:2008 for dedication to providing consistent premium quality products and services. For more information about our reaction injection molding capability, see the table below, or contact us directly.